Brand: Wilton 417-1187 Units: 1 set/ 6 pcs. Specially designed for forming, storing and transporting royal icing, gum paste and fondant decorations. Secure fitting lids keep out moisture and dust. Trays stack on top of each other for easier storage and workplace organization. Set includes 3 trays and 3 lids. Specially designed for forming, storing and transporting royal icing, gum paste and fondant decorations. Secure fitting lids keep out moisture and dust. Trays stack on top of each other for easier storage and workplace organization. 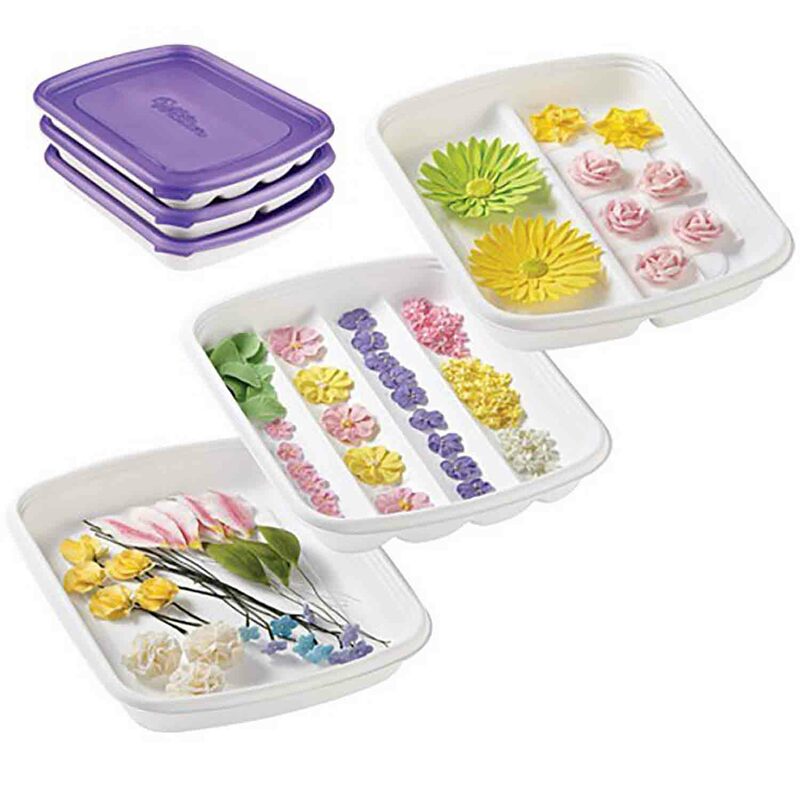 Set includes 3 trays and 3 lids.